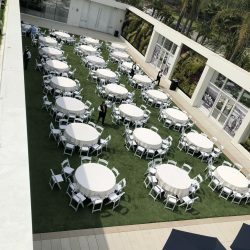 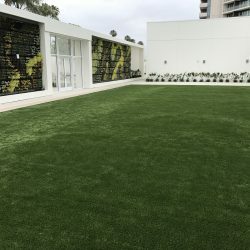 Synthetic Turf And Green Building LEED Certification | Five Star Turf, Inc. 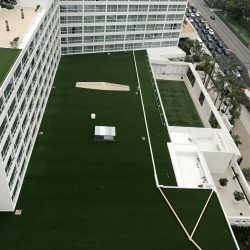 The LEED green building certification program is hitting major strides in the construction and commercial building space. 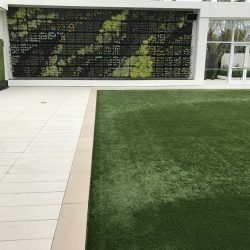 Many developers and builders are LEED trained and can consult you on how to get your building product certified LEED. 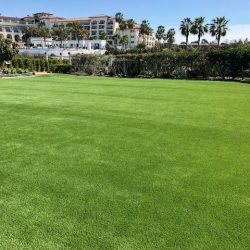 Here at 5 Star Turf Commercial we ensure our environmental sustainability is truly “green.” We take measurable steps in providing products that have an extended lifespan, reduce your carbon footprint, conserve water, and use renewable and recycled materials in manufacturing. 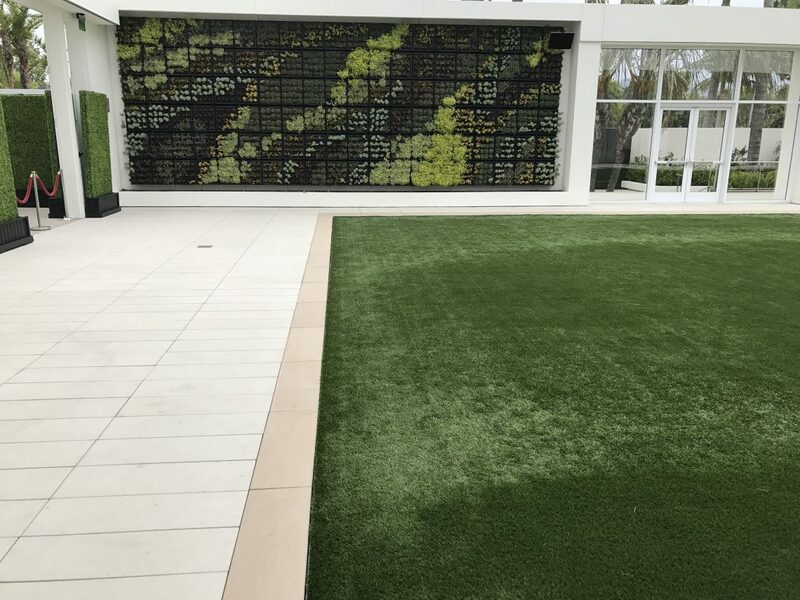 Synthetic turf will help you achieve your LEED credits and goals. 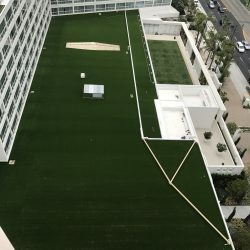 Turf helps environmentally conscience builders and specifiers with LEED project certification from the U.S. Green Building Council. 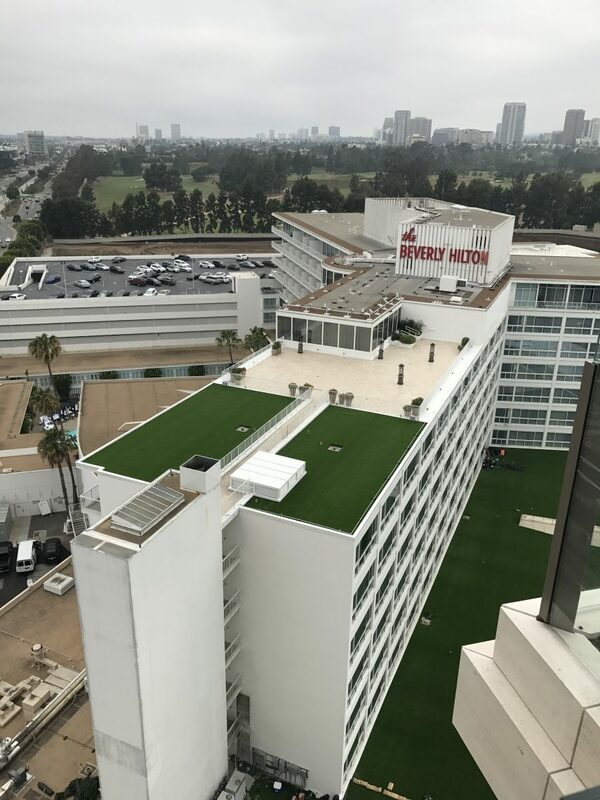 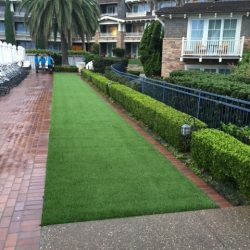 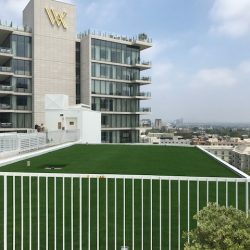 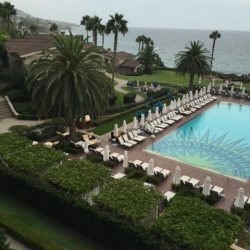 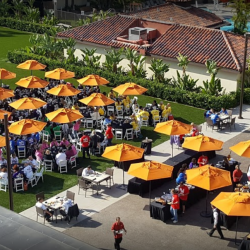 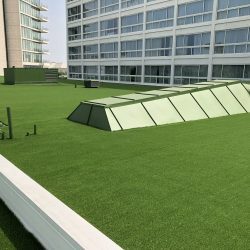 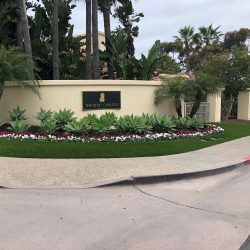 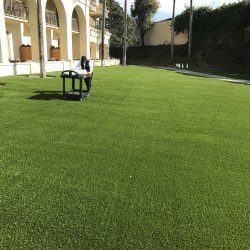 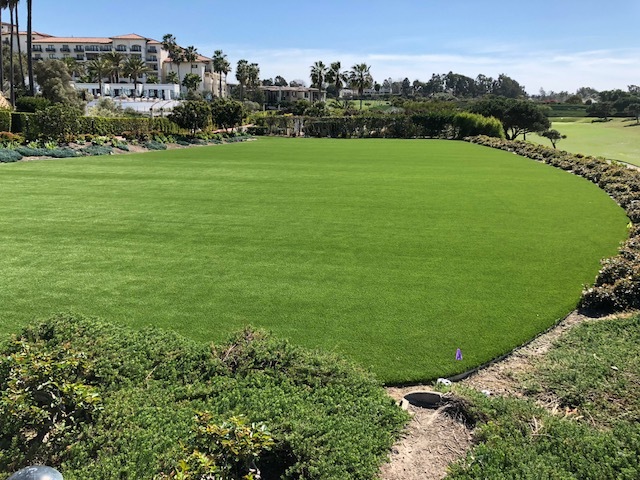 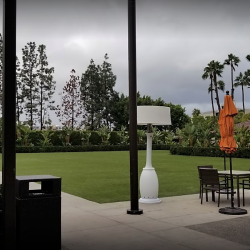 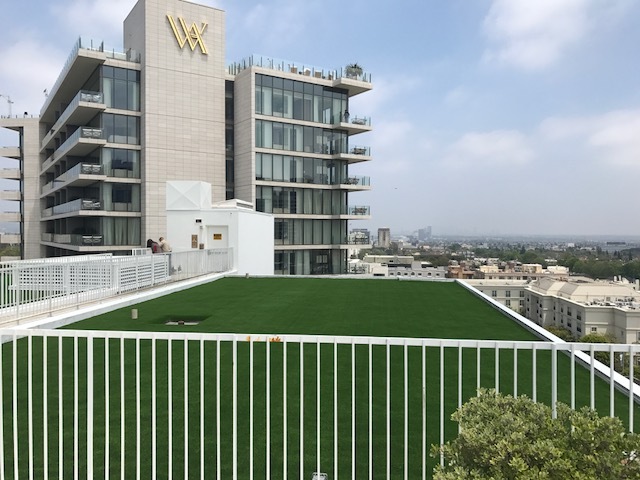 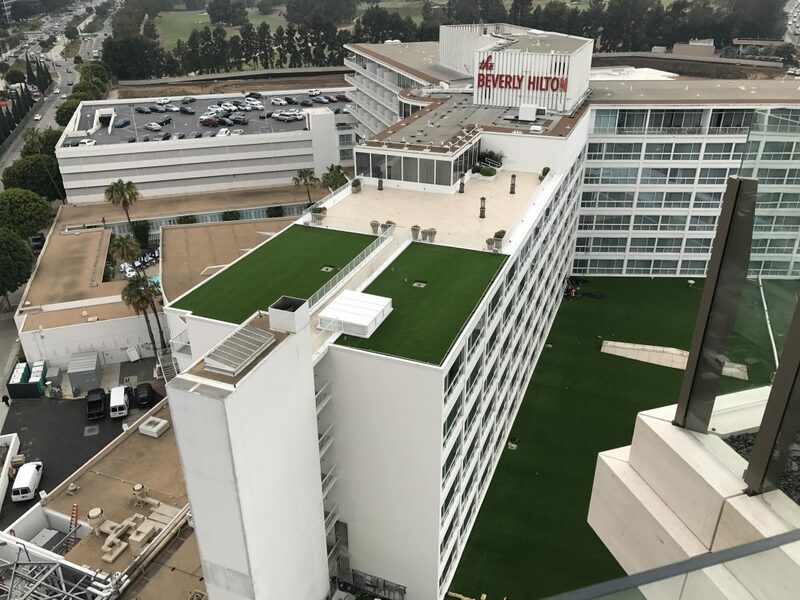 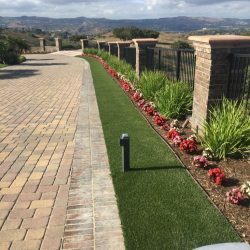 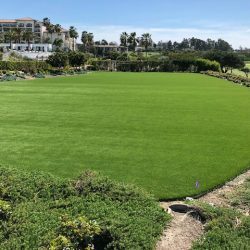 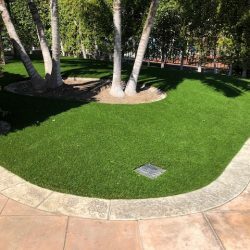 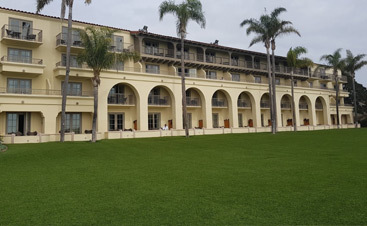 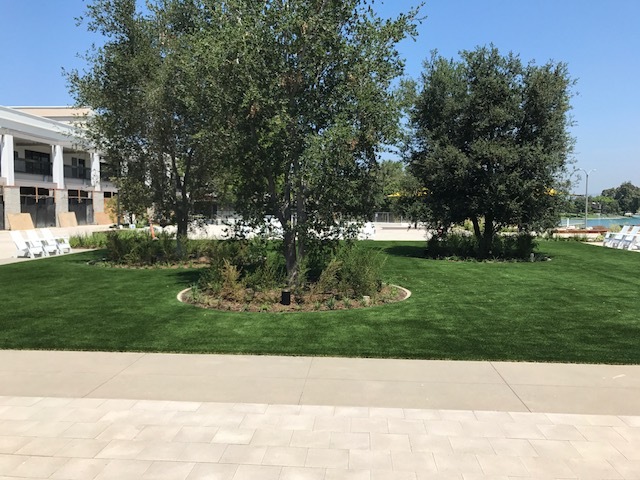 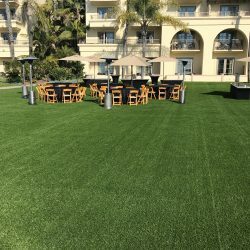 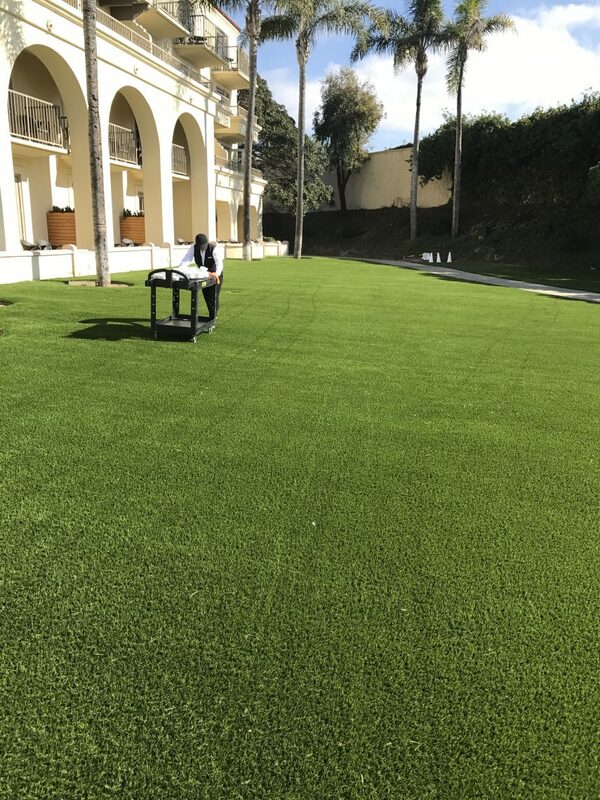 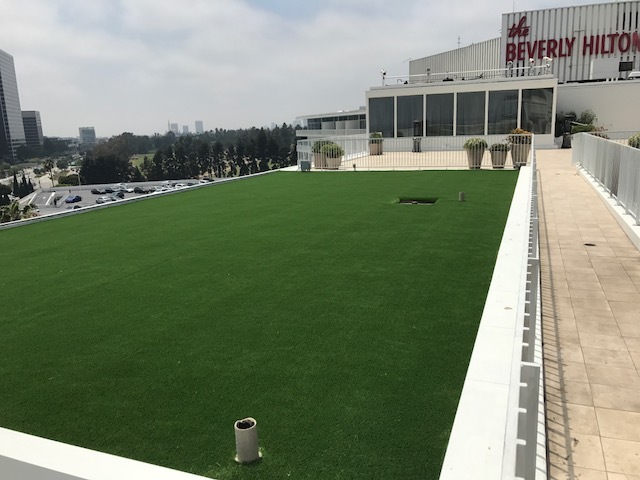 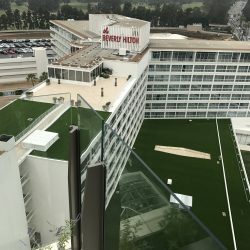 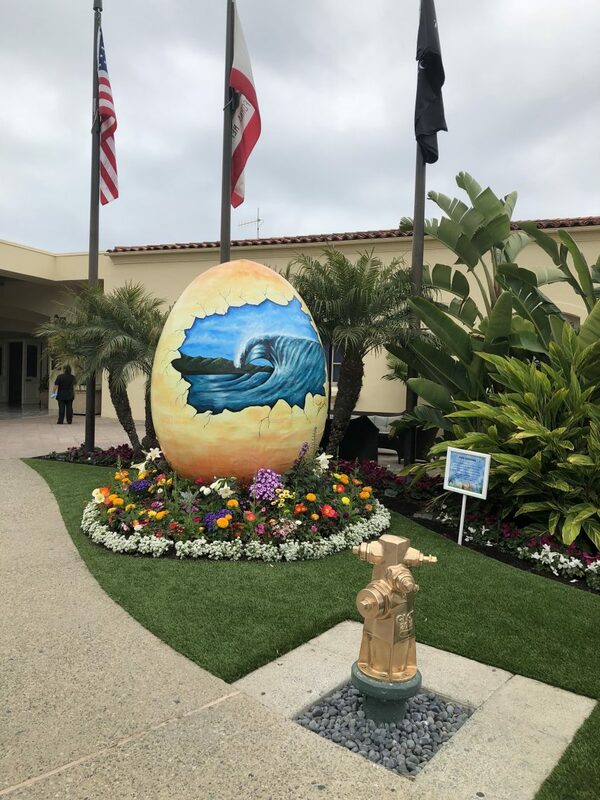 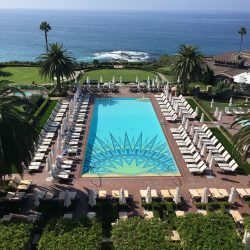 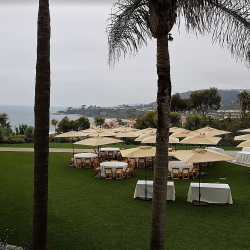 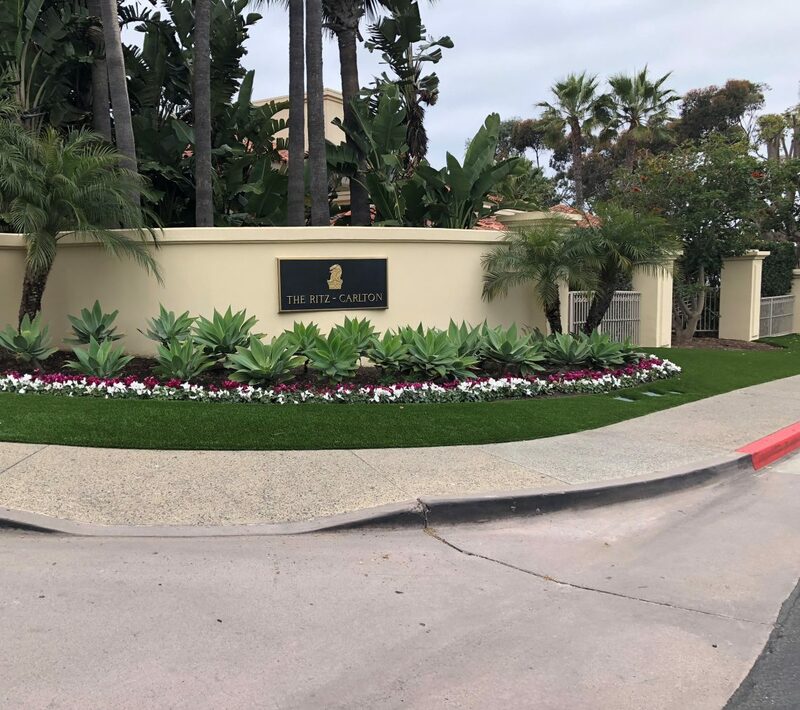 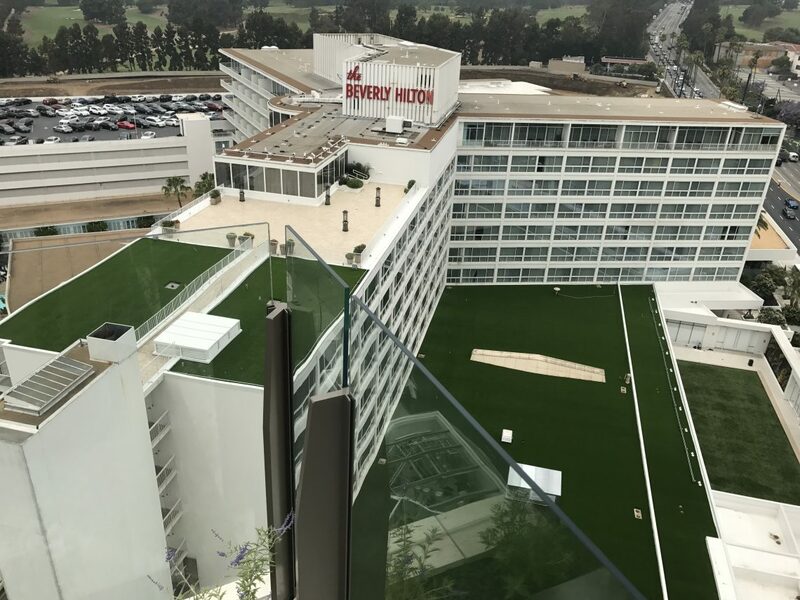 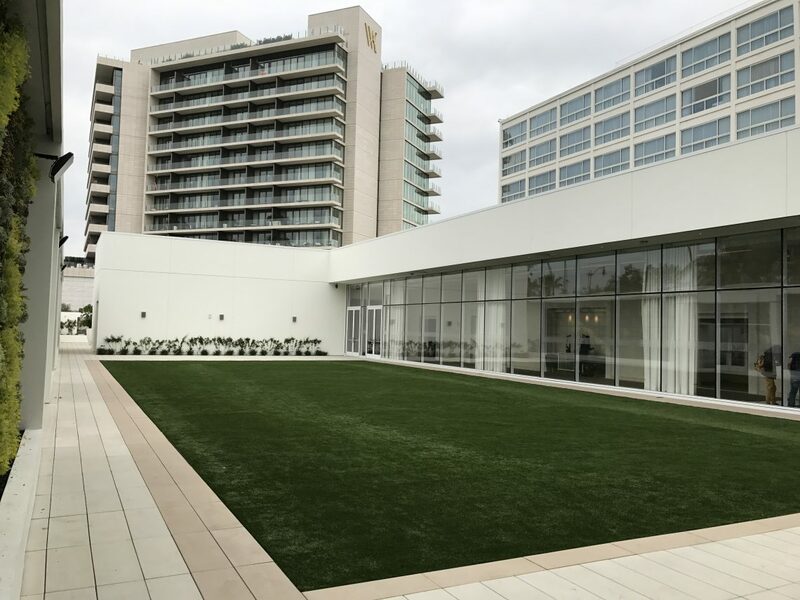 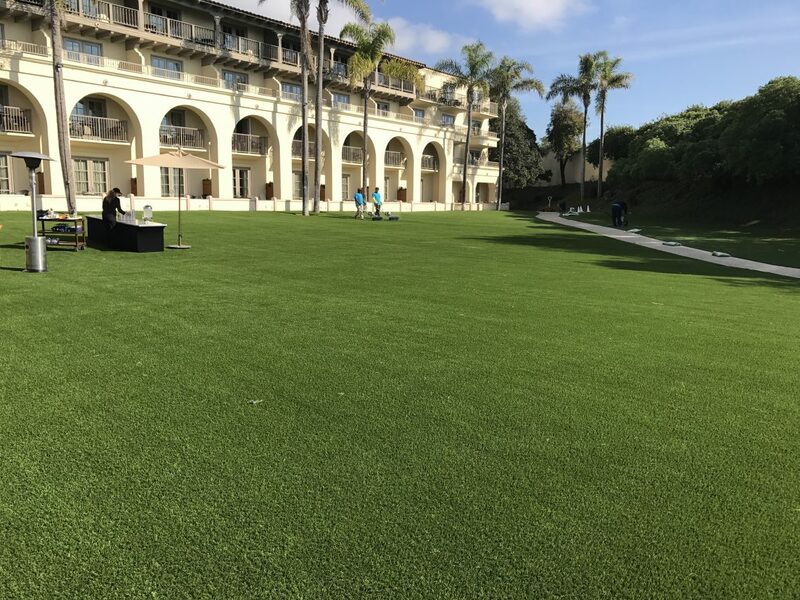 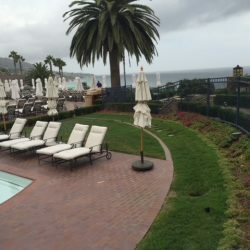 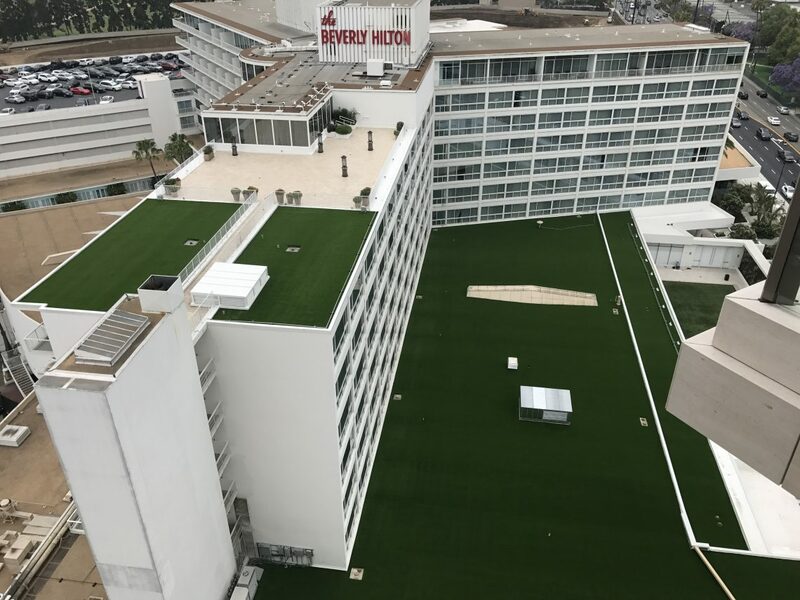 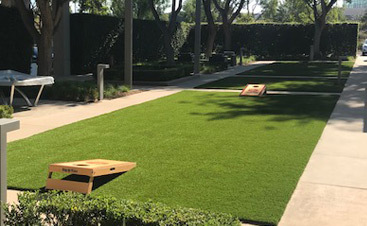 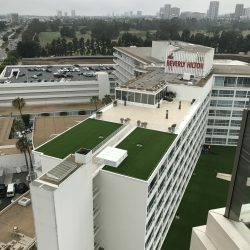 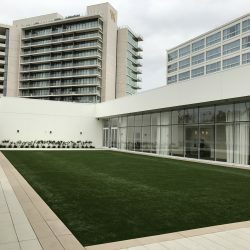 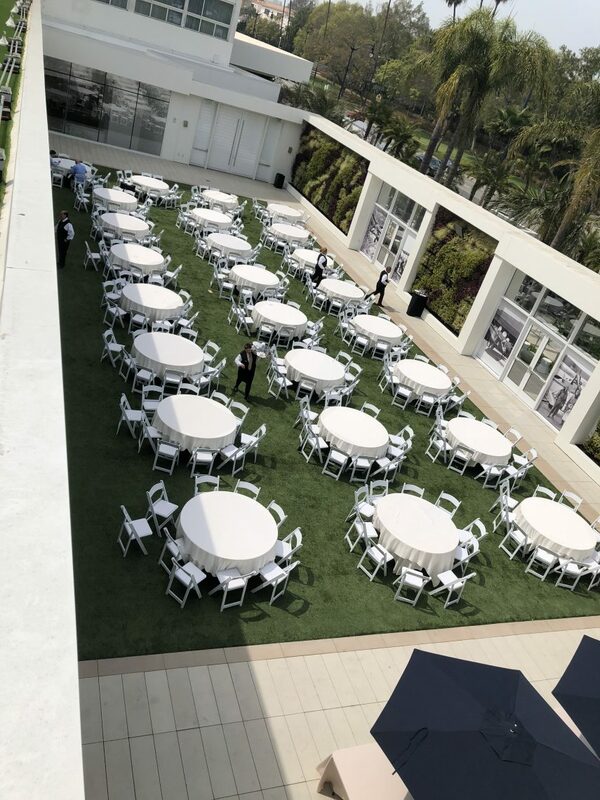 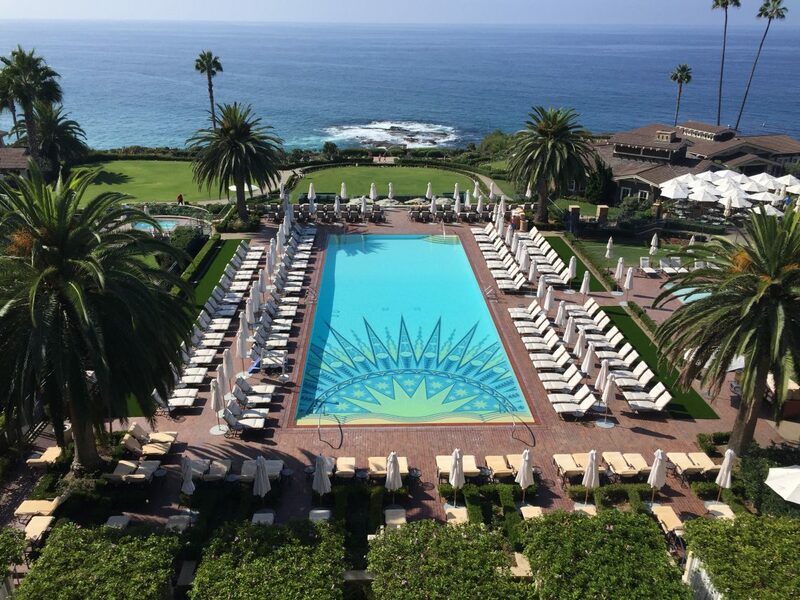 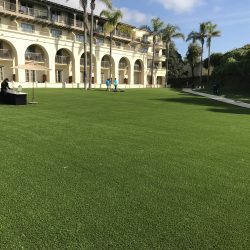 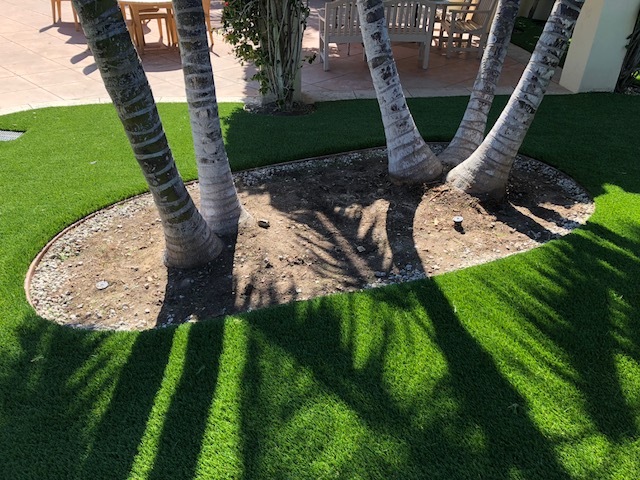 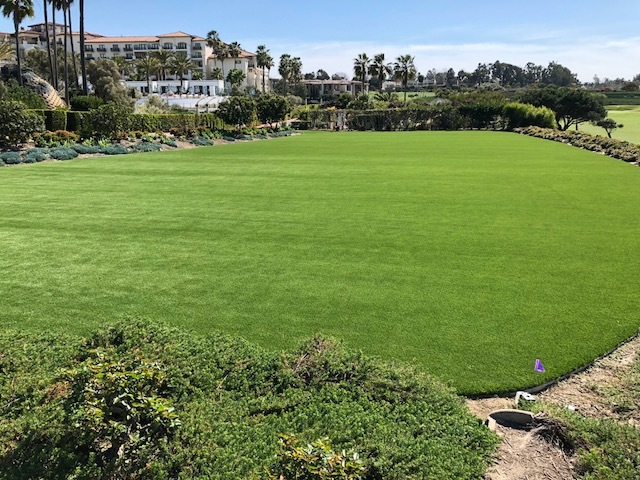 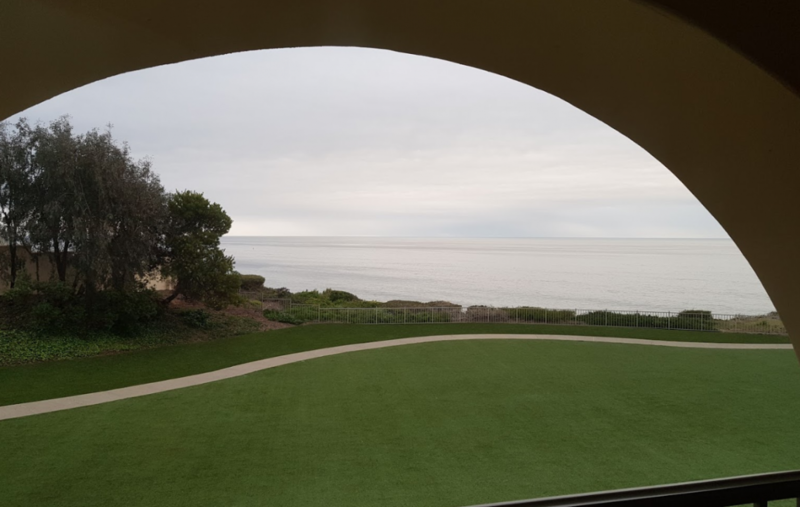 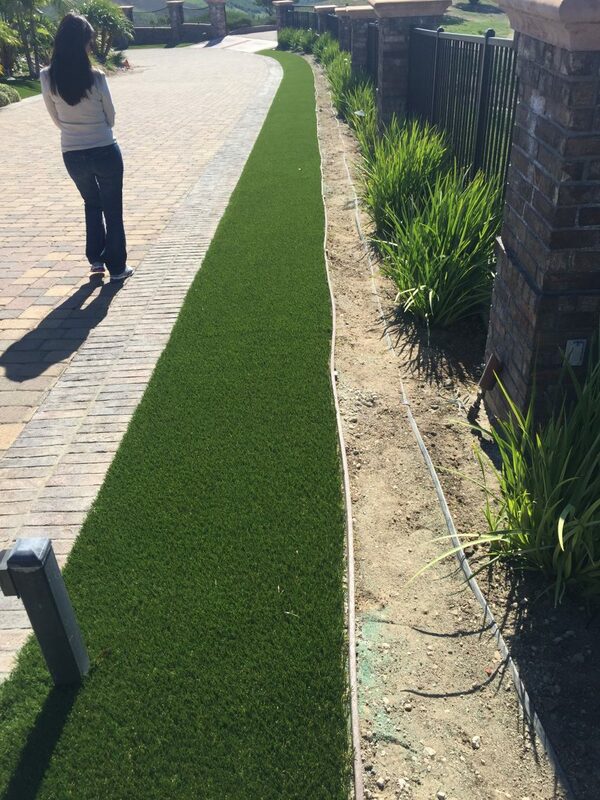 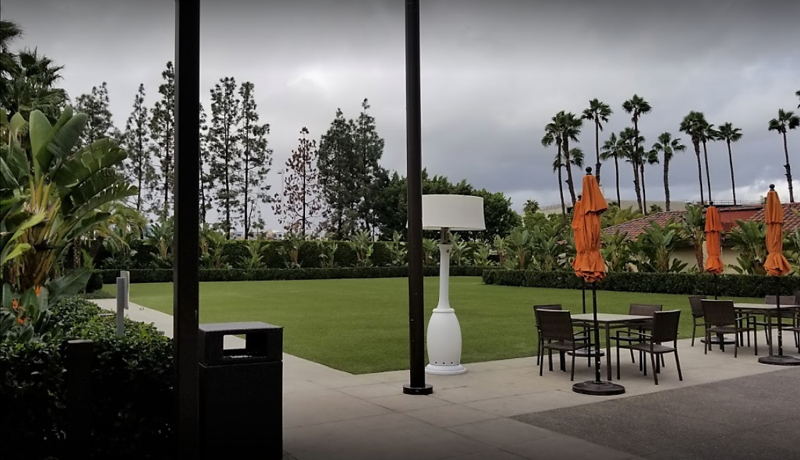 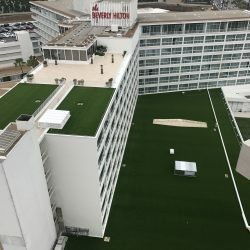 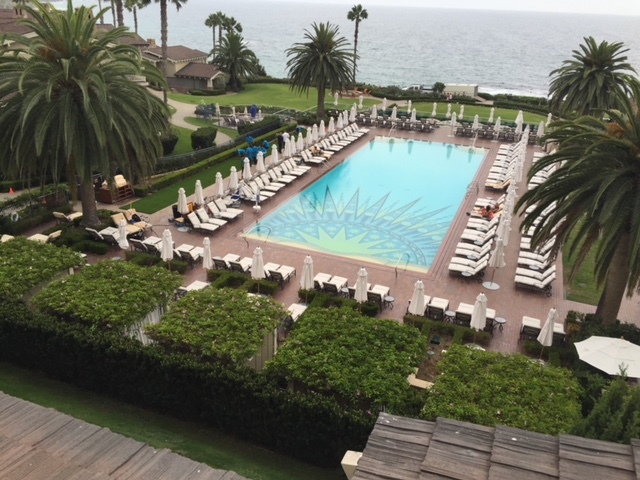 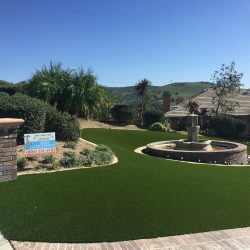 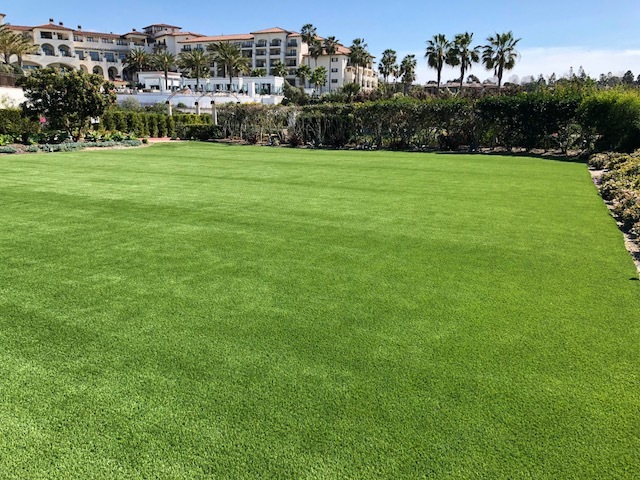 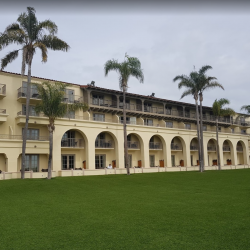 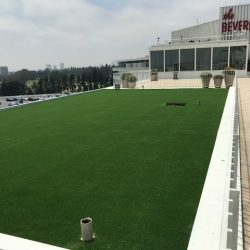 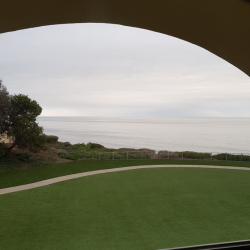 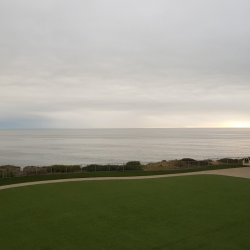 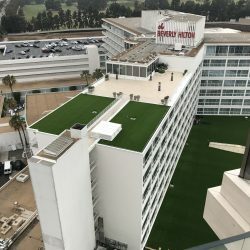 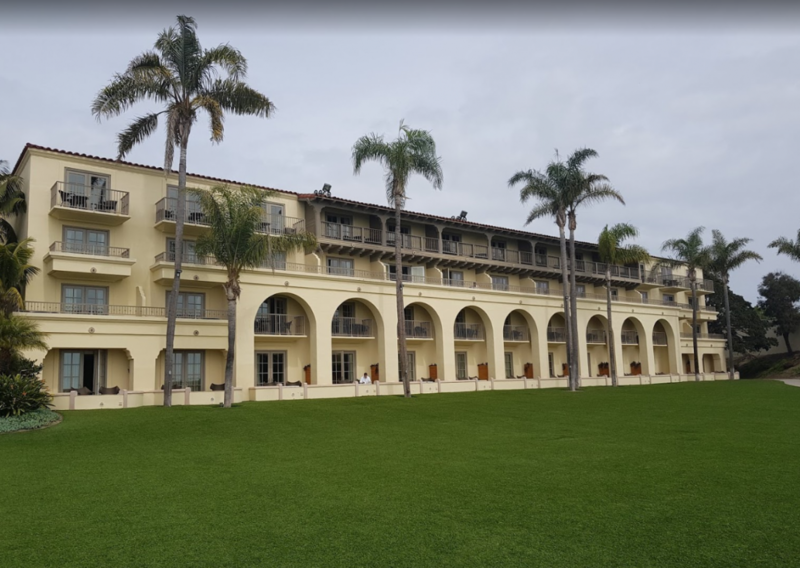 Using 5 Star Turf Commercial can boost your LEED points in the areas of Water Efficient Landscaping, Recycled Content, Rapidly Renewable Material and Innovation in Design. 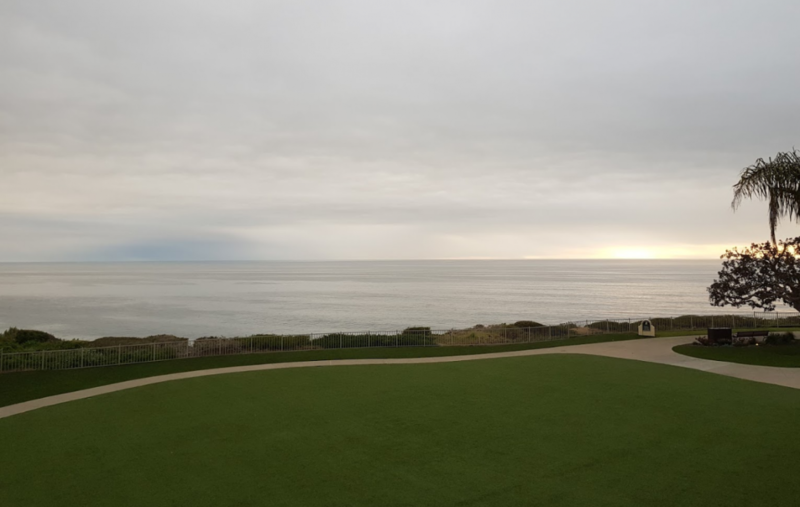 As you may be aware, 70% of the Earth’s surface is made of water. 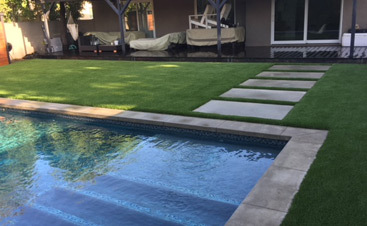 However, less than 1% of the world’s water is available freshwater for human consumption. 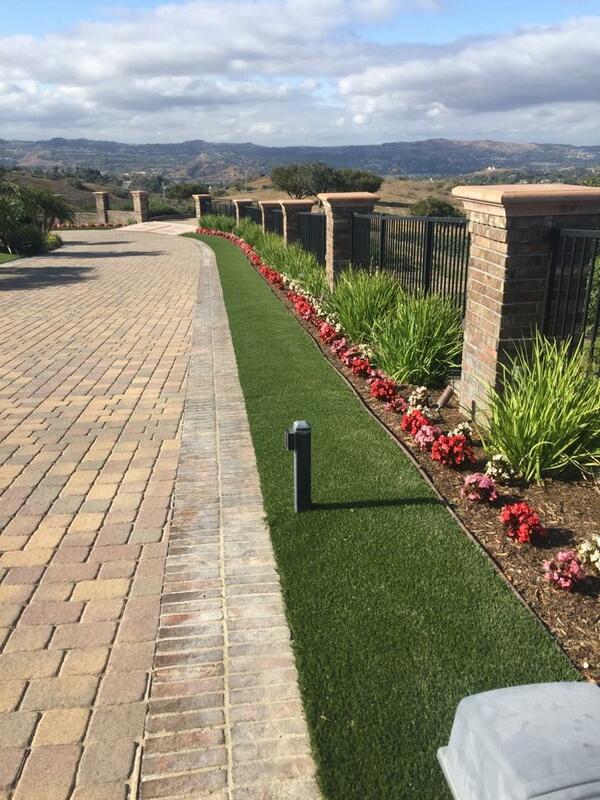 In other words, all of the water used in the home comes from the 1% available freshwater. 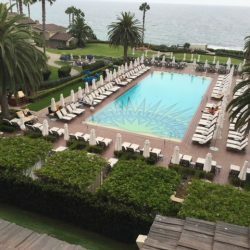 Now think about this. 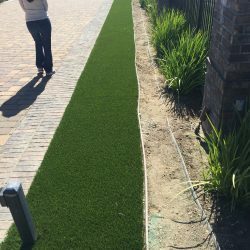 Did you know that in most homes across the country 50-70% of the household water consumption is used for outdoor irrigation? 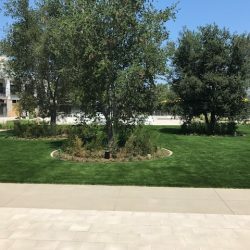 Here is another fact. 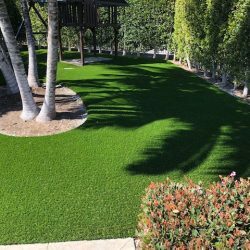 To keep lawns green, it takes approximately 685 gallons of water to apply 1-inch of water over 1,000 square feet of lawn annually. 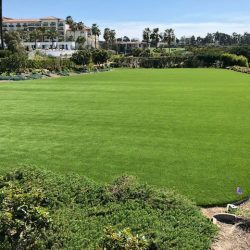 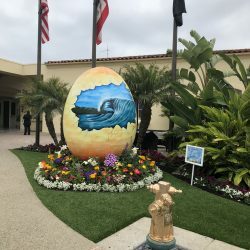 That is a tremendous burden on the world’s freshwater supply just to keep the lawn green. 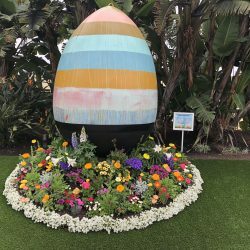 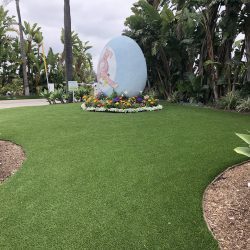 How can you make a difference? 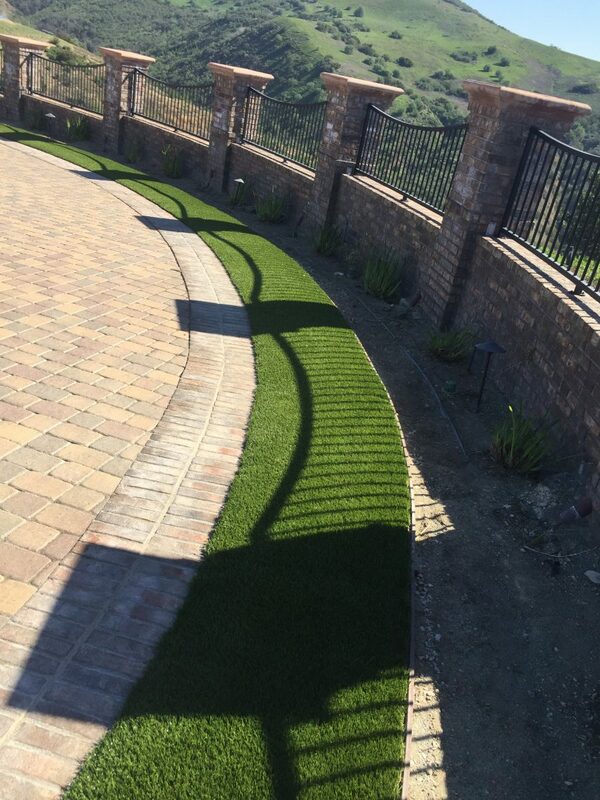 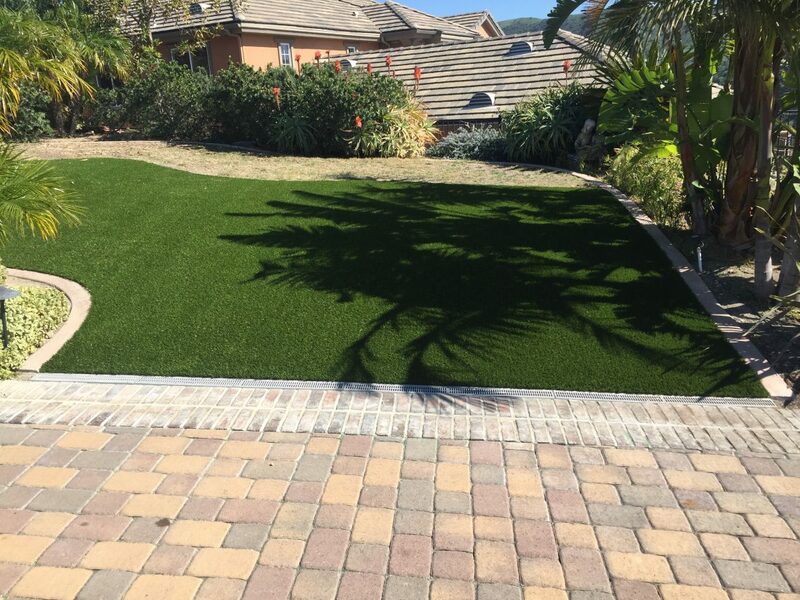 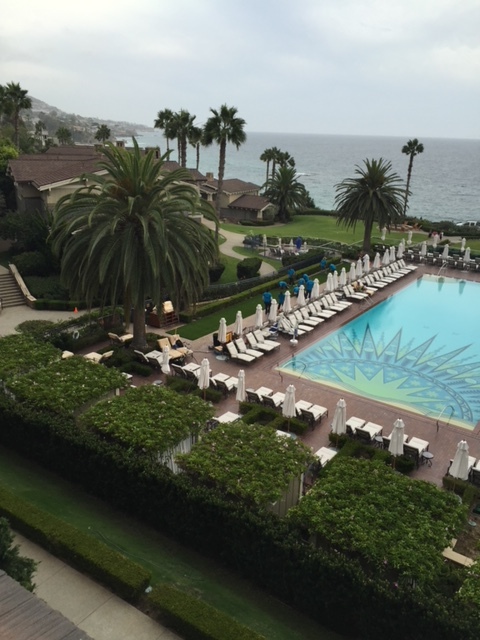 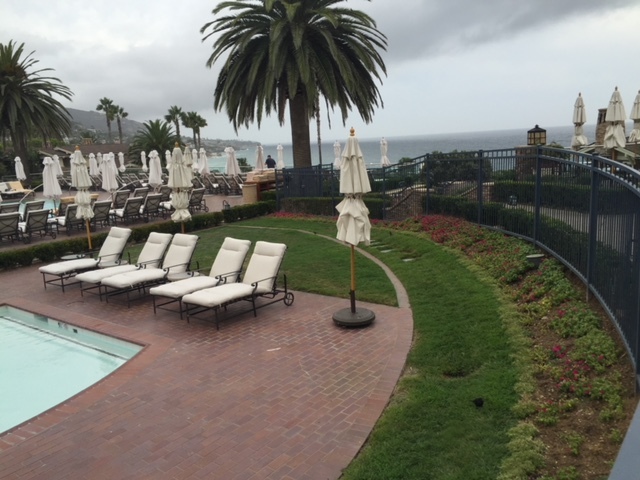 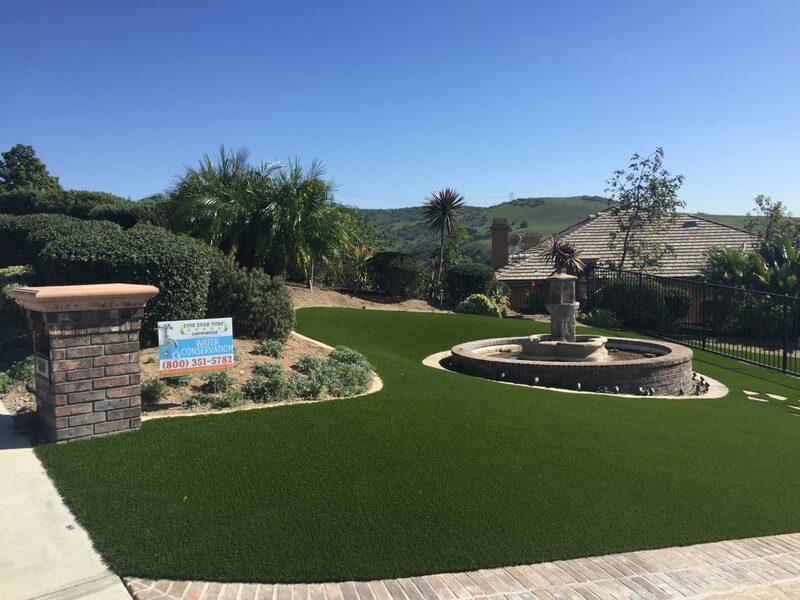 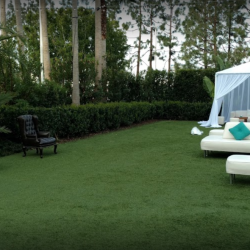 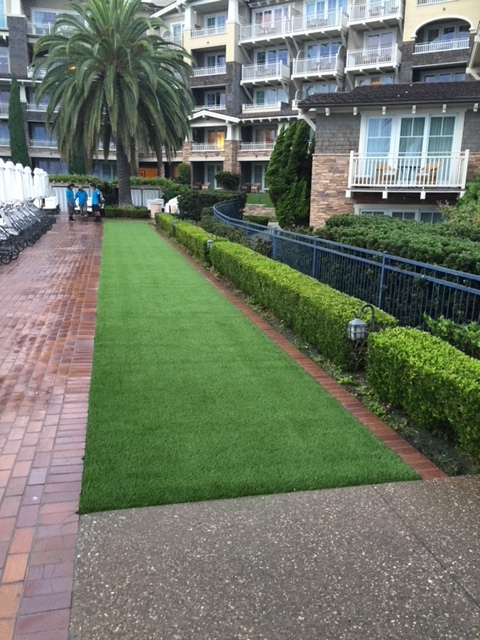 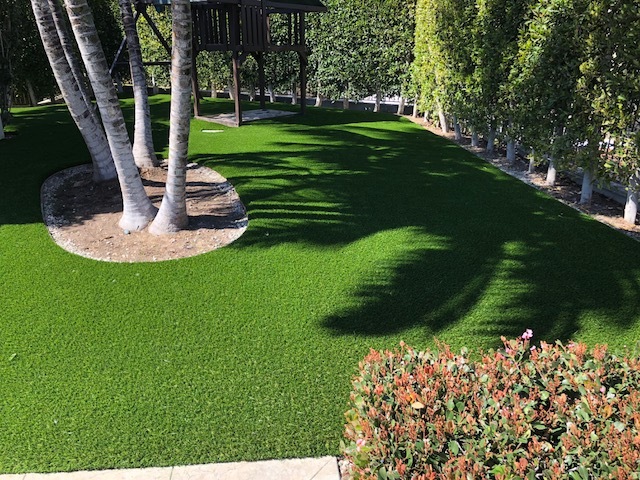 Replace your natural lawn with synthetic turf to eliminate up to 70% of your water consumption. 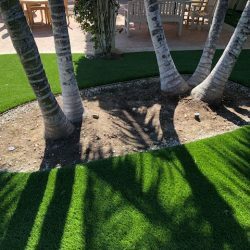 The choice to switch not only gives you a beautiful looking lawn year round without the maintenance, but it will also help save our planet. 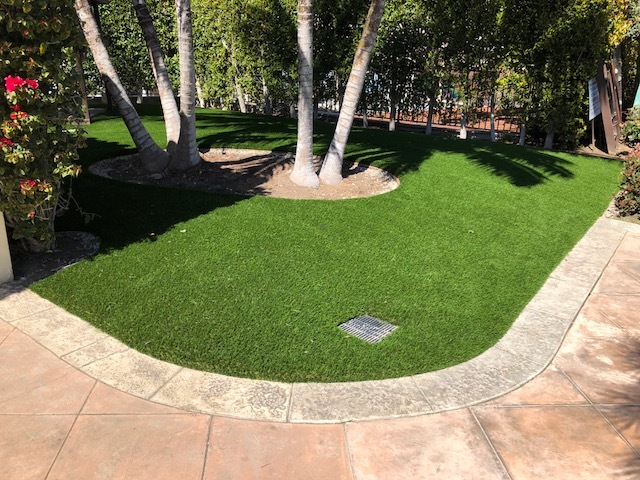 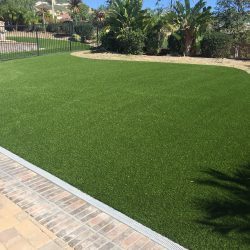 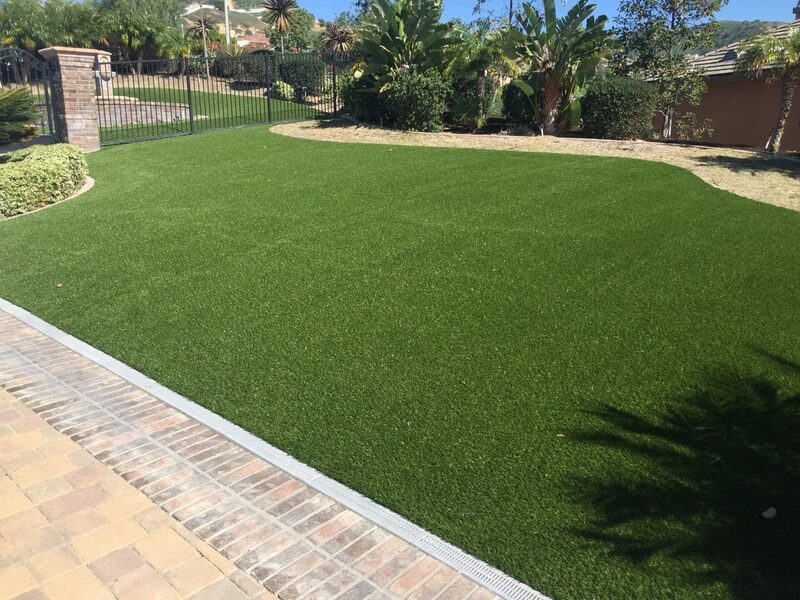 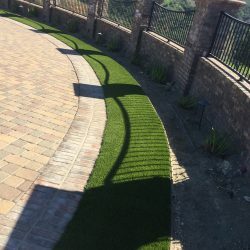 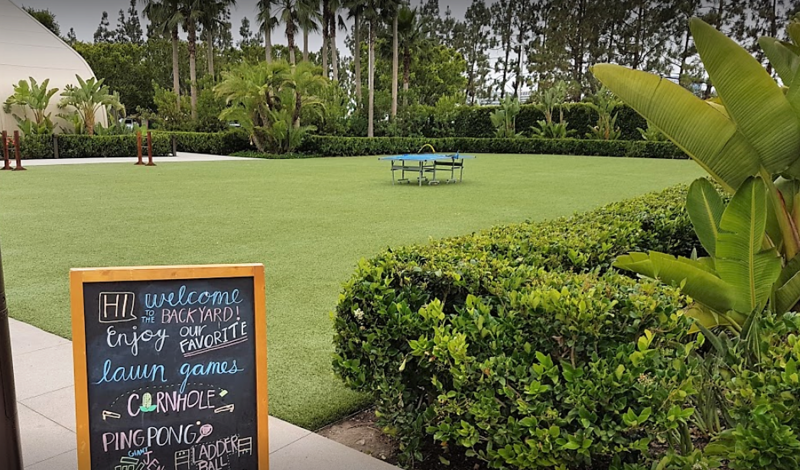 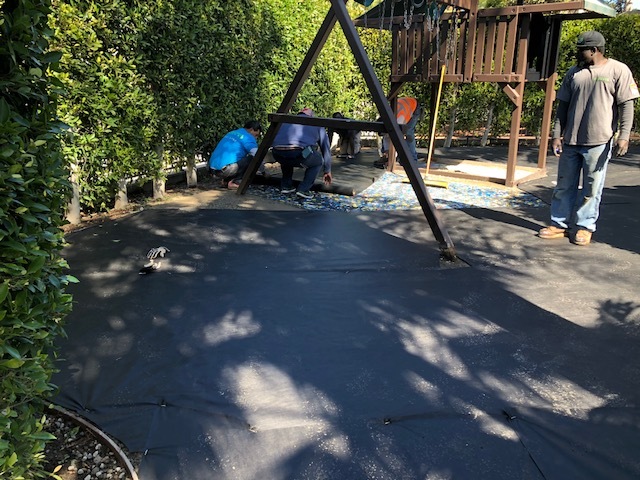 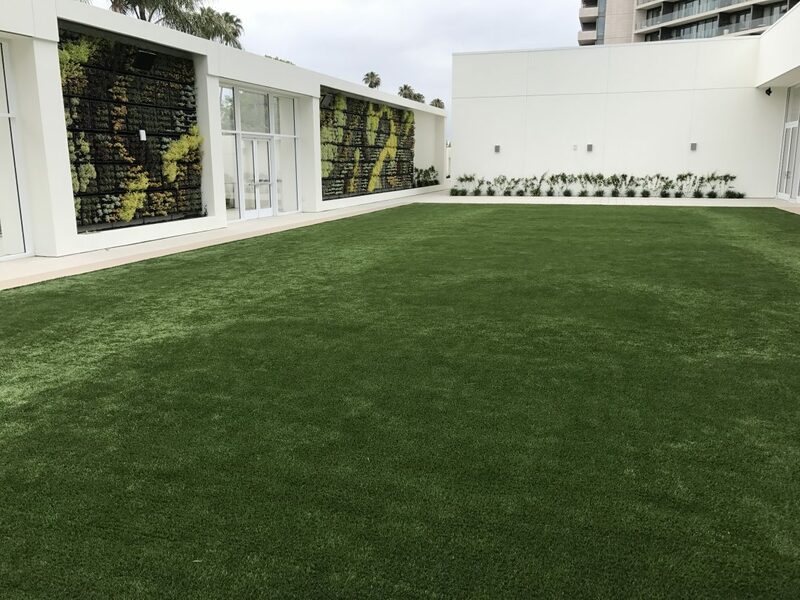 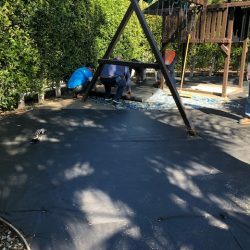 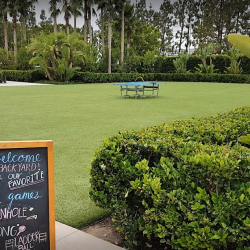 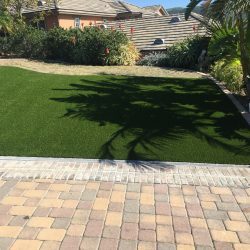 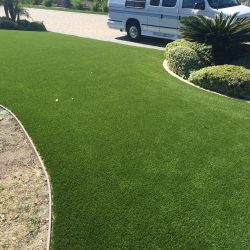 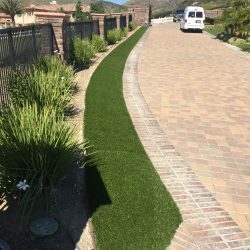 Because Synthetic Turf is manufactured with recycled post consumer products and made with renewable resources we are a perfect fit for green builders striving to achieve a LEED certification. 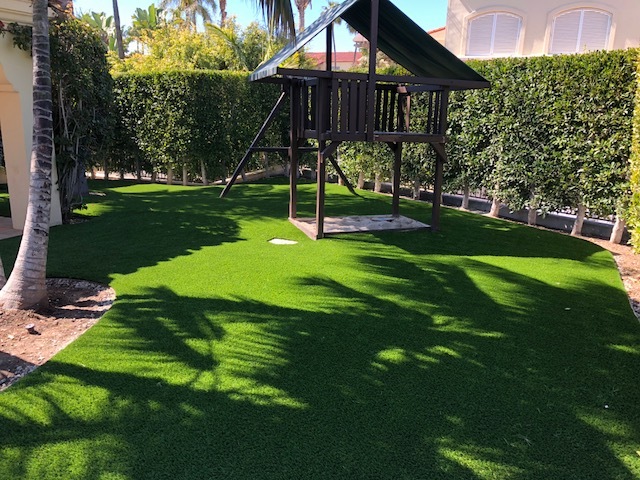 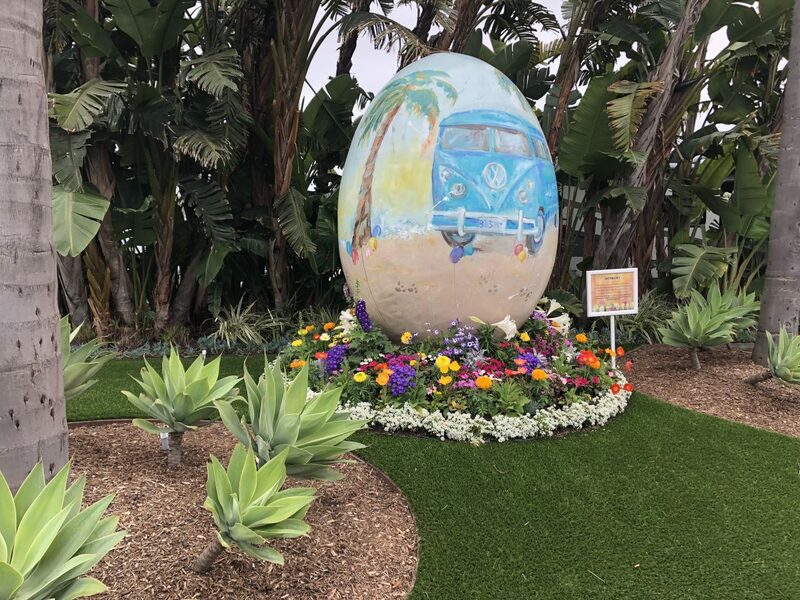 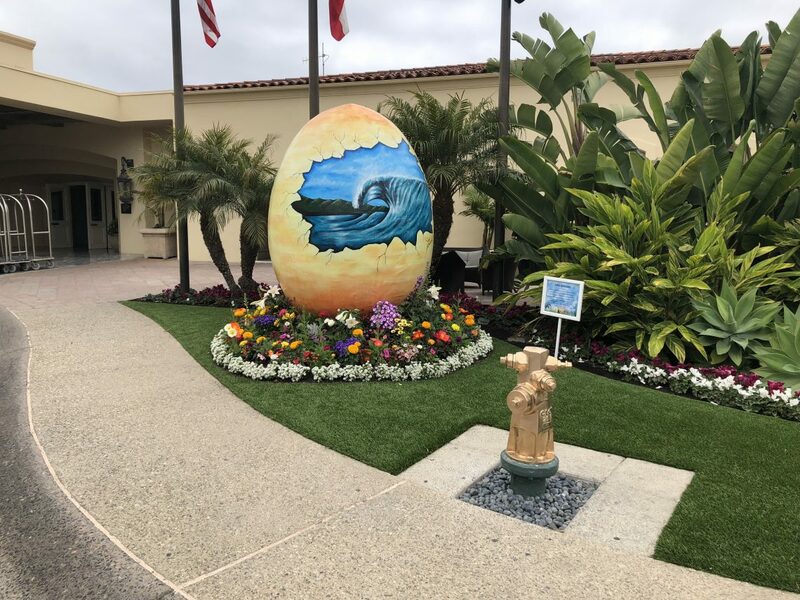 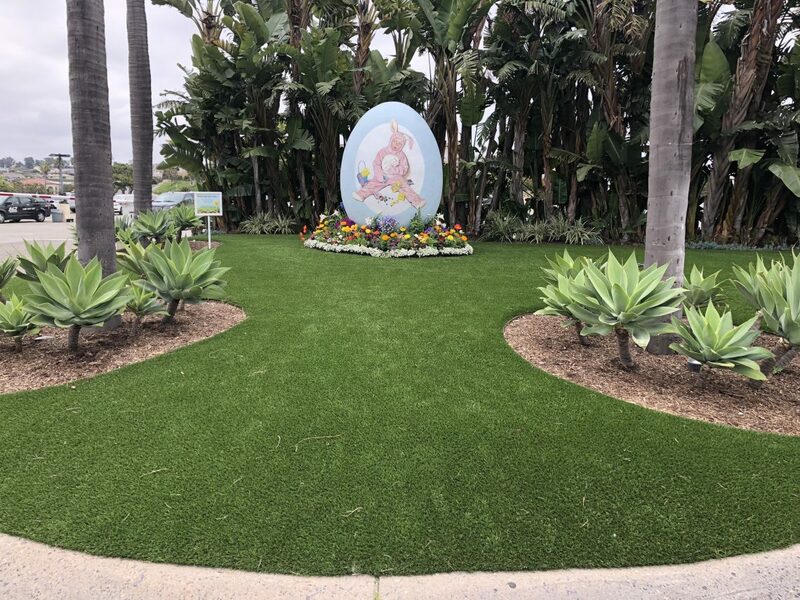 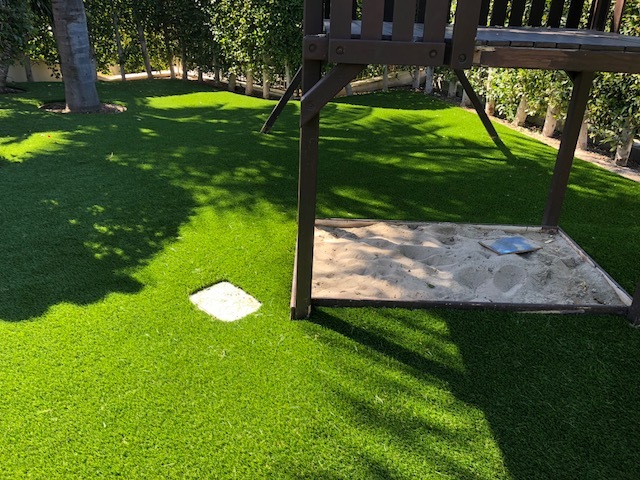 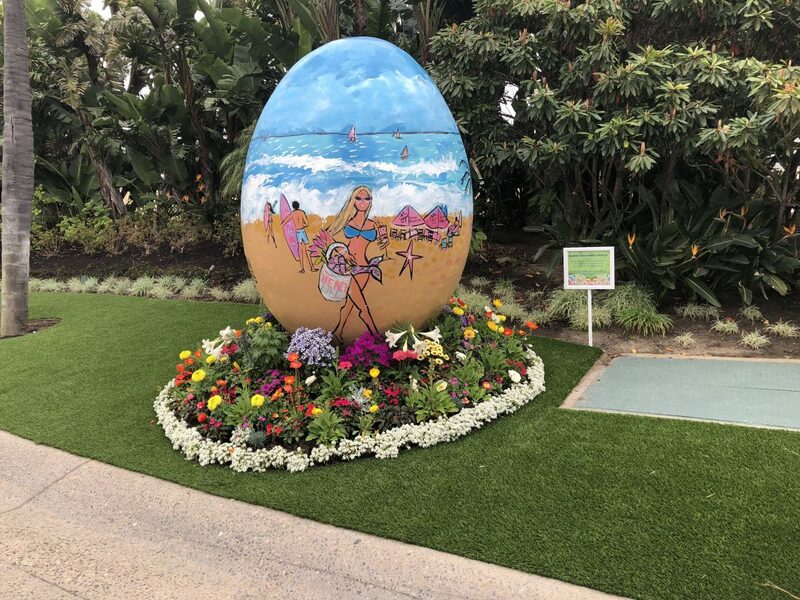 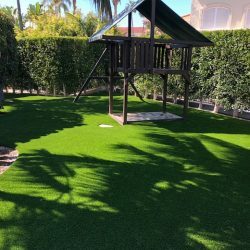 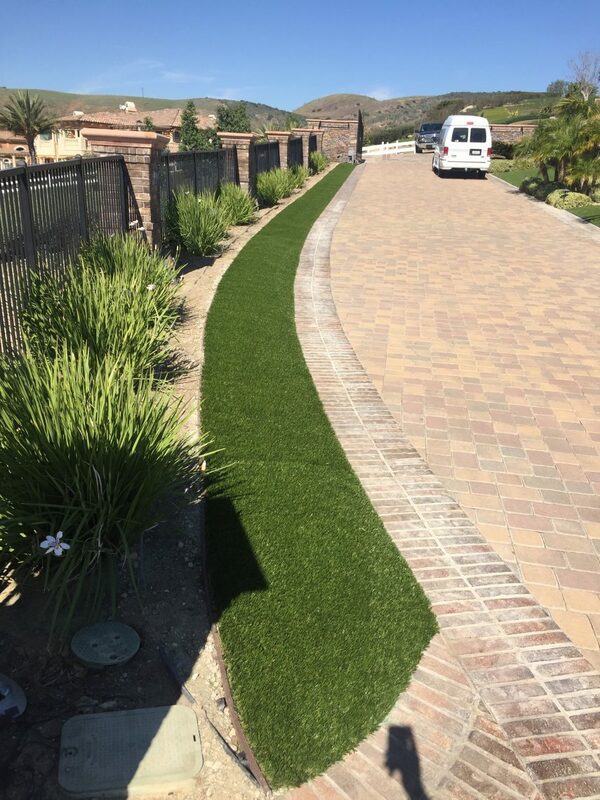 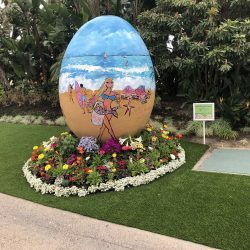 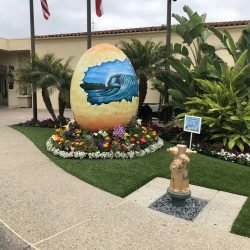 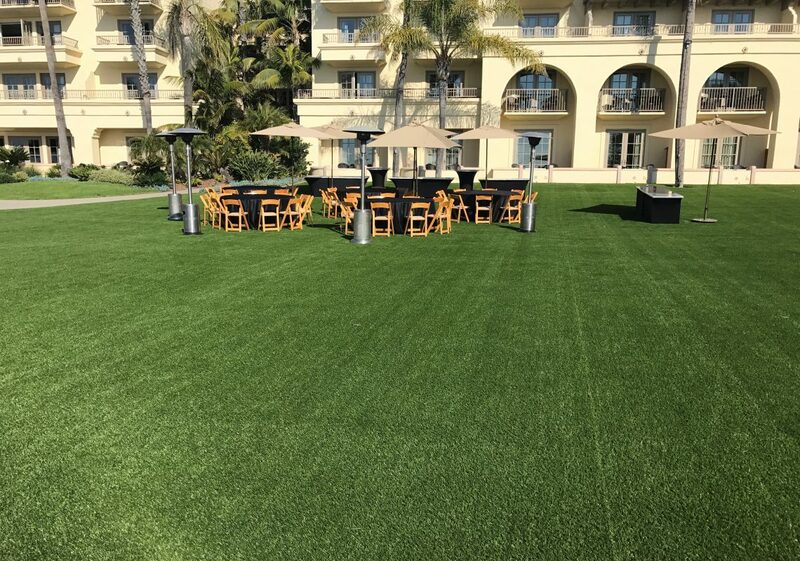 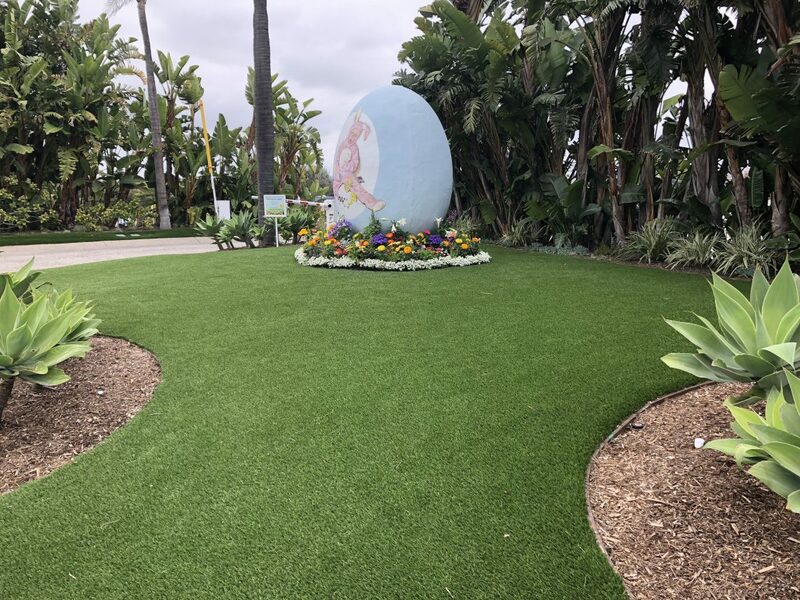 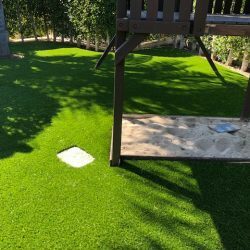 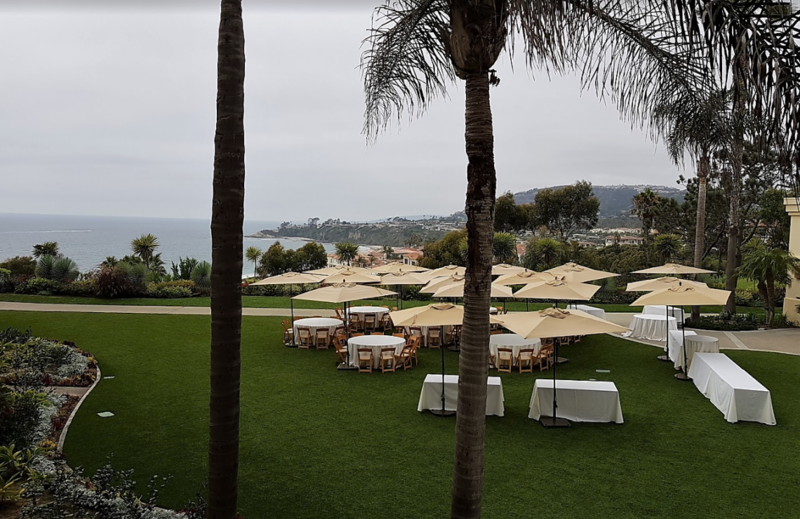 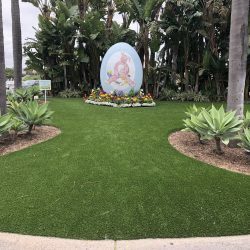 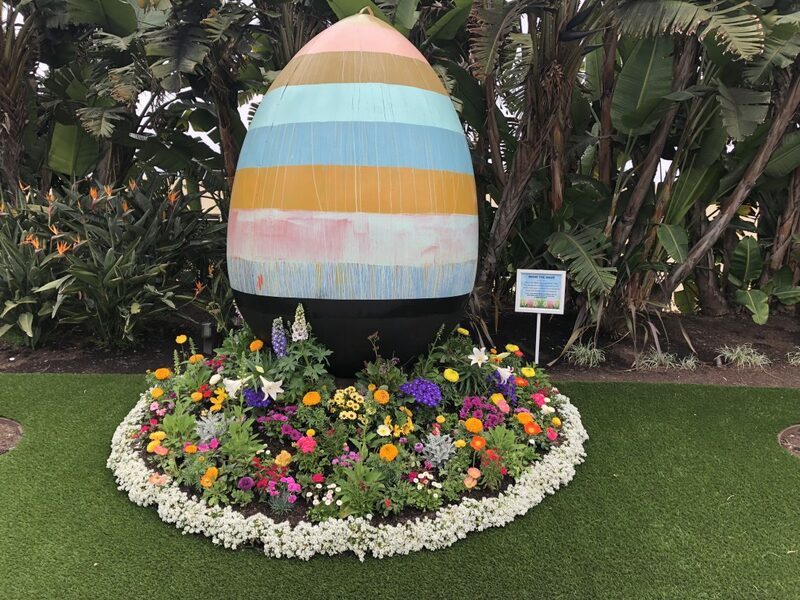 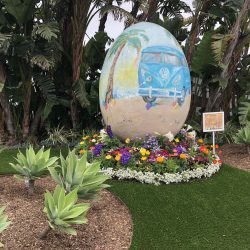 Our turf product is designed to extend the product life cycle by using 10% less material that is stronger and has superior dimensional stability compared to traditional artificial grasses. 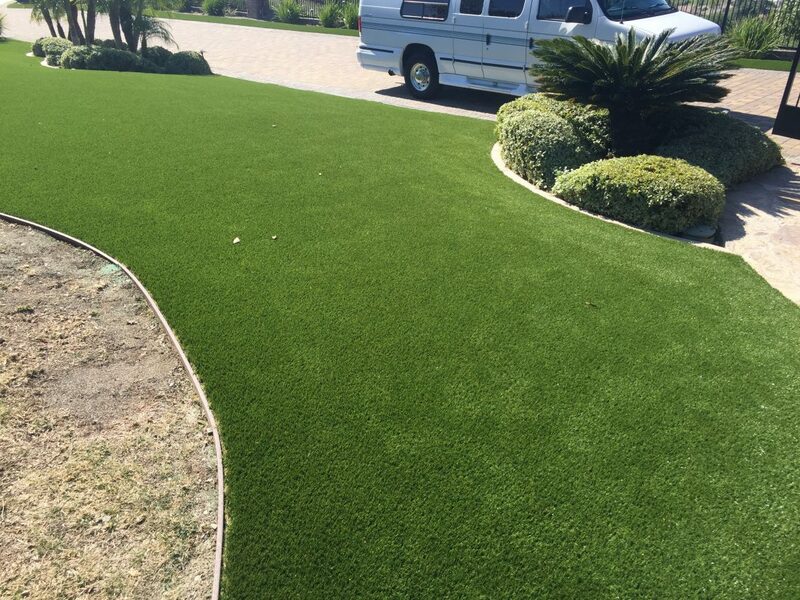 Product lifespan is further extended on the face by incorporating nylon 6 in the fibers adding up to 50% longer life. 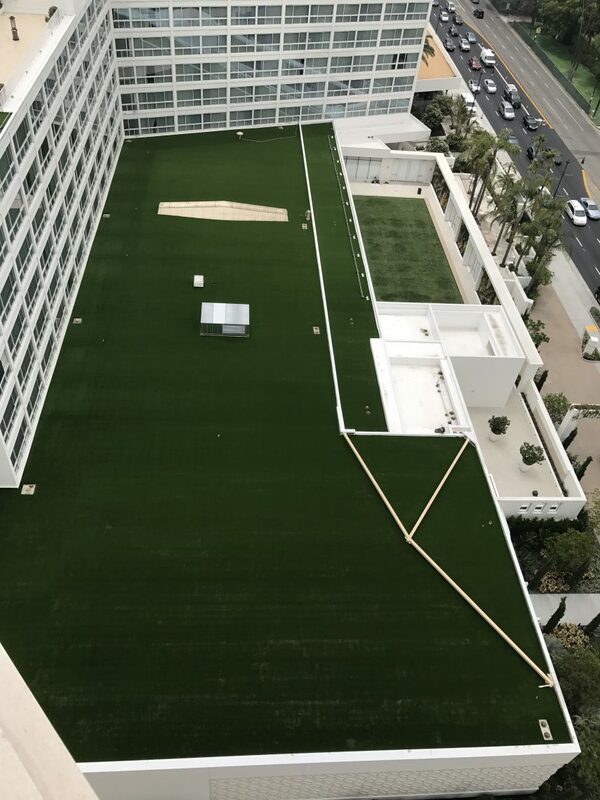 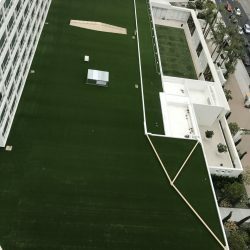 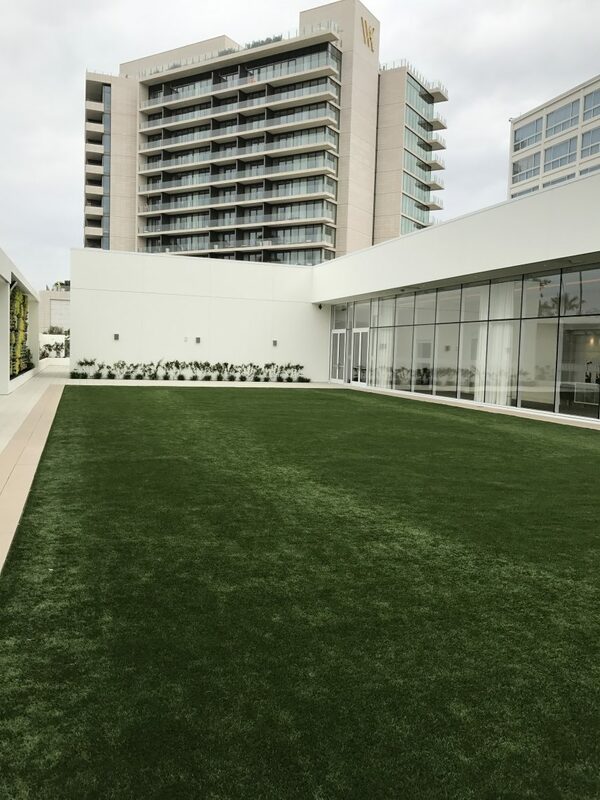 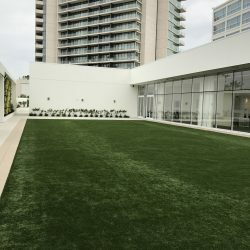 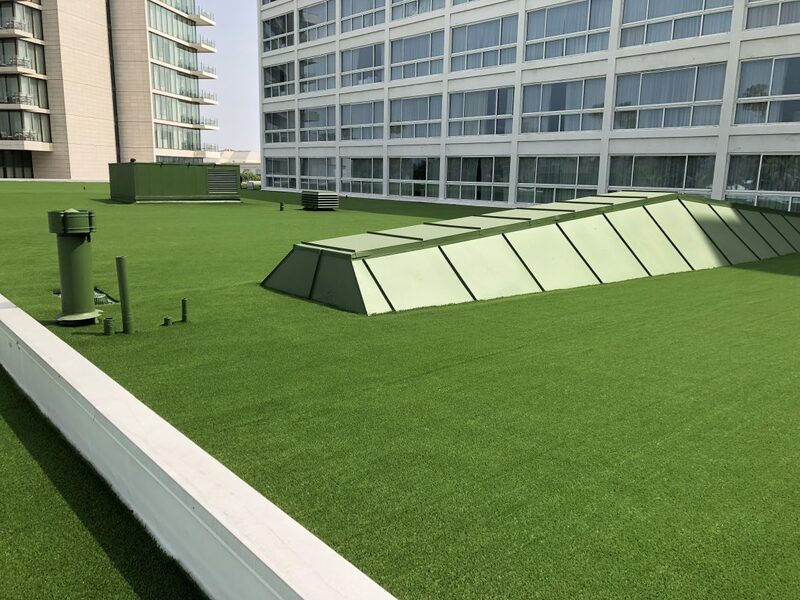 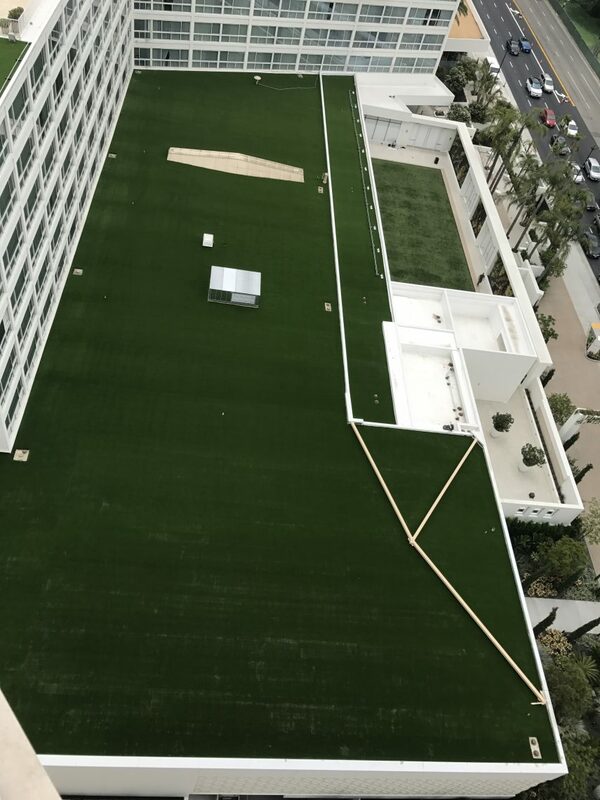 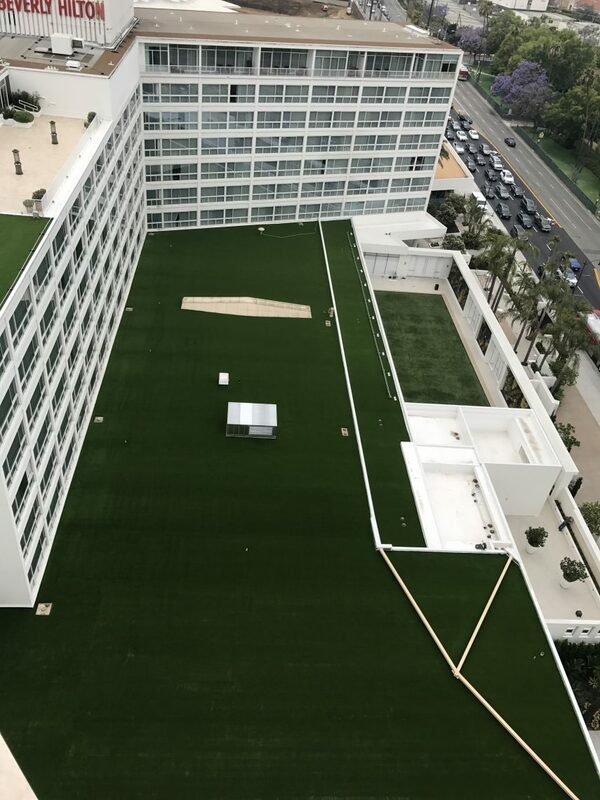 For more information about how an artificial turf installation can contribute to your LEED building certification contact us today.